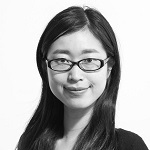 Kana joined the UNU-IAS as an Administrative Programme Associate and she provides general administrative support to the UNU-IAS and the Fukushima Global Communication Programme (FGC). She obtained a MA in Asian Studies from the Australian National University and worked there as a Project Assistant and later as an Events and Communication Officer until she returned to Japan in early 2015. Having been born in Fukushima and lived in Australia for the past seven years, she appreciates the beauty of nature and especially enjoys going to beaches to surf.